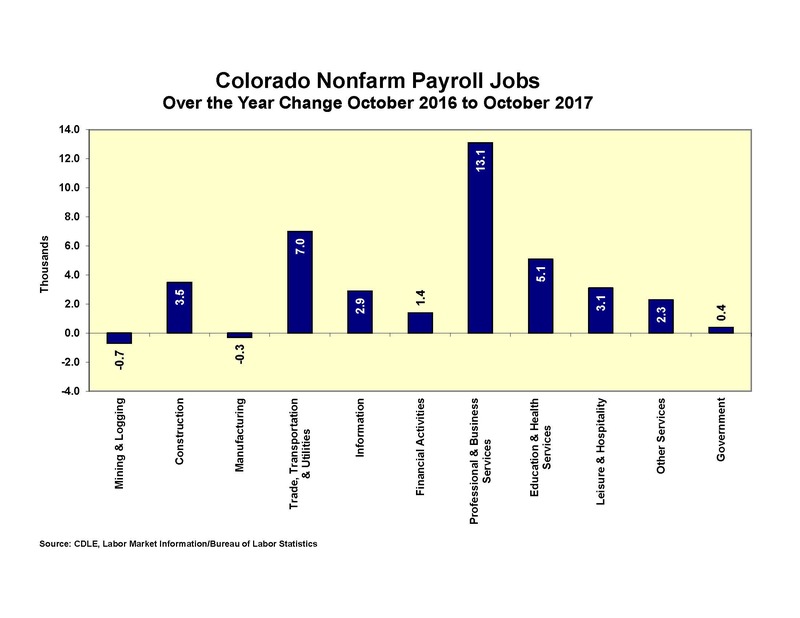 Employers in Colorado added 1,400 nonfarm payroll jobs from September to October for a total of 2,659,000 jobs, according to the survey of business establishments. Private sector payroll jobs increased 4,300 and government decreased 2,900. According to the survey of households, the unemployment rate increased two-tenths of a percentage point from September to October to 2.7 percent. The number of people actively participating in the labor force increased 10,500 over the month to 3,020,600 and the number of people reporting themselves as employed increased 5,700 to 2,939,300. The larger increase in the labor force than in total employment caused the number of unemployed to increase to 4,800 and the unemployment rate to increase to 2.7 percent. The national unemployment rate decreased one-tenth of a percentage point in October to 4.1 percent. Over the year, the average workweek for all employees on private nonfarm payrolls decreased from 34.2 to 34.0 hours and average hourly earnings increased from $27.23 to $27.96. The largest over the month private sector job gains were in construction, information, and leisure and hospitality. The largest over the month declines were in education and health services and trade, transportation, and utilities. Over the year, nonfarm payroll jobs increased 37,800, with an increase of 37,400 in the private sector and an increase of 400 in government. The largest private sector job gains were in professional and business services, trade, transportation, and utilities, and education and health services. Over the year, the unemployment rate is down four-tenths of a percentage point from 3.1 percent. 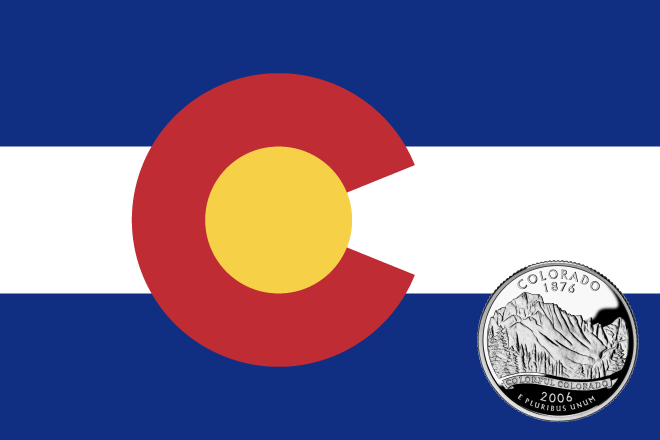 The number of Coloradans participating in the labor force increased 115,500, total employment increased 125,200 and the number of unemployed decreased 9,700. The national unemployment rate declined from 4.8 percent in October 2016 to 4.1 percent in October 2017.